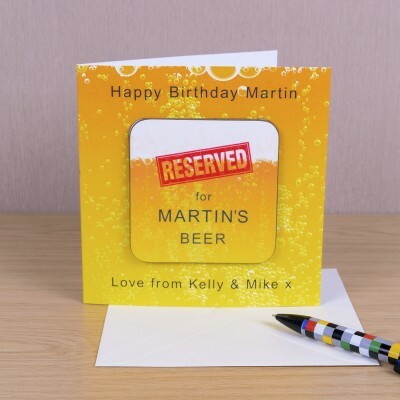 A detachable drinks coaster forms the centrepiece of the card design. 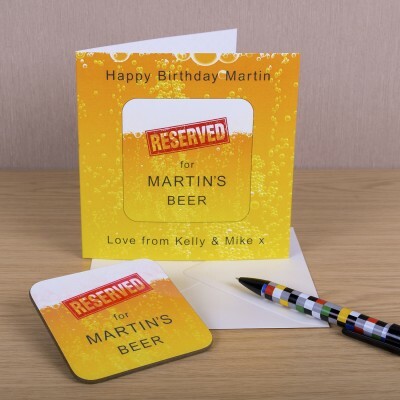 The coaster has the fixed text of "RESERVED for .... BEER" you can add a name to the coaster, and a line of text to the top and bottom of the card. Designed and made in the UK, the coaster is hardwearing with a glossy top. Card 150mm x 150mm, Coaster 90mm x 90mm.